Global surprises from salt pans to karst caves. Select an appropriate category for the selected TOP POI points. Visit the karst caves with the Postojna Cave, the queen of all caves, at the forefront. Embark on a trip to the captivating seaside towns wrought with history. Learn about the elegant white Lipizzaner horses. Feel the salt on your skin, taste the nobility of the local wines and dishes with excellent olive oil. 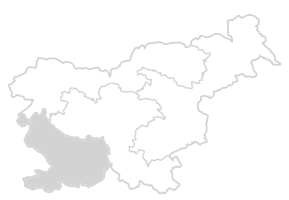 Almost the entire Karst destination belongs among the Natura 2000 sites. Decanter magazine recognised three traditionally produced wines from the Vipava Valley as the best natural wines in the world. Every year most of the bathing areas and the marina are awarded a blue flag, which is an international ecological symbol denoting the quality of natural bathing areas and marinas. Surrender yourself to the gracefulness of the Mediterranean and the Karst. Visit picturesque coastal towns and the romantic inland areas of Istria. The karst world will take your breath away with its stunning above-ground and underground phenomena. The Vipava Valley invites visitors with its diverse flavours and active experiences all year round. Enter the green splendour of the Vipava Valley. The green landscape, shaped by the sun and the bora wind, provides many wonderful culinary treats and a series of possibilities for active holidays. Numerous cultural gems hidden from the crowds and the hospitality of the locals are just a couple of reasons to visit the inland areas of Slovenian Istria. Explore the wonderful Koper countryside and discover the rich cultural heritage of Koper and its inland areas. Postojna Cave has been welcoming visitors into its marvellous underground world for 200 years. Experience unique cave adventures and lose yourself in adventures offered in its vicinity. 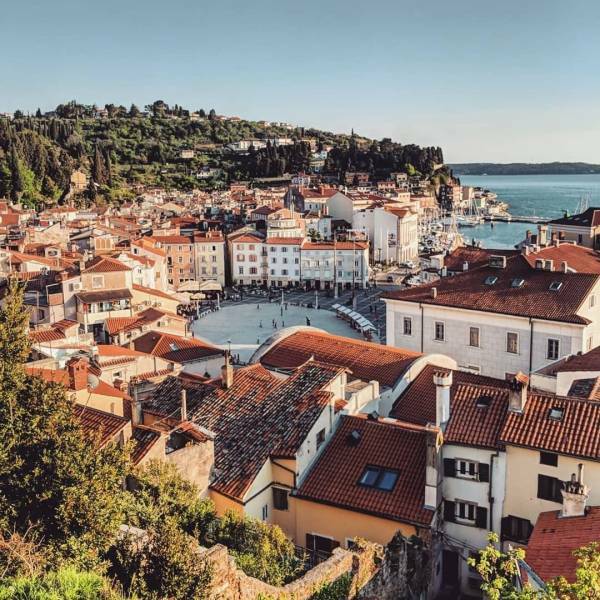 The Slovenian coast invites visitors to come and experience its charming medieval towns, the scent of salt, and its green countryside filled with authentic Istrian flavours. Piran is a town that grew on salt. Discover the salt-making tradition that influenced the development of the town and how it is involved in the city today. Is the explorer inside you keeping you restless? Visit the largest interactive exhibition about caves and karst in the world, and discover the mysteries about how Postojna Cave was formed and how its tourism developed. The sea has its own power. Feel it on your own skin. Choose to enjoy thalasso therapy or other thermal spa treatments on the Slovenian coast. Spend an active holiday on the Slovenian coast. Find refreshment with a number of activities at the seaside or explore the countryside by bicycle, on foot, or on a horse. The view of the magnificent blueness of the Slovenian sea will make your heart sing. Explore the underground treasures of the Slovenian Karst and surrender yourself to daydreaming in the wonderful surroundings of the Vipava Valley and Goriška Brda. Choose and book your holiday today! A complete break with gourmet pampering. Allow yourself to be fascinated by other Slovenian regions, too – the Alpine Slovenia with its mighty mountaintops and clear waters and the treasury of active experiences in nature, Ljubljana and Central Slovenia with an excellent combination of vivacious urban life and genuine contact with unspoilt nature as well as Thermal Pannonian Slovenia with an abundance of therapeutic thermal springs and wine growing hills.